Schedule a pre-travel checkup with your health care professional about four to six weeks before your trip, for any kind of travel. Check your glucose just before leaving, and don’t leave before dealing with it and rechecking if it is below normal. Bring snacks and drinks with you, and if you’re on a long trip, a meal just in case. Put insulin under the seat in a cooler or thermal bag, but not in the trunk, on the dashboard or on ice. Plan stops for checking glucose and stretching, and pull over at the first signs of hypoglycemia. Call your airline to find out how to bring syringes and lancets through security checkpoints. Keep the outside boxes of your insulin and/or glucagon, so the prescription labels can be shown to security, bring a medical letter documenting your diabetes, and speak to the security guard in advance. Carry snacks in case your meal doesn’t arrive soon enough. Don’t pack insulin in your checked luggage; it will be damaged by extreme temperatures in the cargo hold. Keep your diabetes supplies nearby, not in the overhead compartment, so they’re accessible at all times. Drink bottled water to stay hydrated. Dining out can be an enjoyable experience for people with diabetes with a little advance planning. Concentrate on the three Ps: planning, portions and preparation. Many restaurants publish their menus online. Take a look at the menu and decide before you go what you are going to have. This can help avoid overeating and assist you in figuring out the carbohydrate and fat content of the meal in advance if you are dosing insulin to your food intake. As for portions, splitting a meal with a friend or having the server wrap half of the meal before it comes to the table can help you stick to your meal plan while taking care of tomorrow’s lunch. Finally, remember that you are in charge. If the menu doesn’t explain how a dish is prepared, ask. Most restaurants are happy to substitute something else that is already on the menu, such as another vegetable in place of rice. Check your health insurance to know exactly what it covers. Be sure to comparison-shop when buying supplies. Blood glucose meters may be available for free if you buy 100 test strips, but pay attention to quality and meter features. Buy only the amount of test strips you can use before they expire. Don’t split your test strips or reuse lancets. You can reuse syringes, although after about five uses the needle begins to get dull. Instead of alcohol wipes, use soap and water to clean your hands or the skin at the injection site. Instead of expensive, packaged “dietetic” foods, shop for healthy basic foods. Begin collecting free make-ahead or no-time healthy recipes from diabetes associations and other sources. Clip coupons and look for weekly specials. If you’re given a brand prescription, ask if a generic would work and if free samples are available. Ask your pharmacy about discounts and rebates. Check out free offers from diabetes associations and manufacturers of diabetes drugs or equipment. Know the insurance laws in your state or learn more about Medicare coverage. If necessary, find out if you qualify for state or drug manufacturer patient assistance programs. Your blood sugar will often be higher than usual when you are sick so continue to take your usual medication, including injections. The only exception is if your health care professional advises you to change it. Check blood glucose every three to four hours around the clock. Write these results down so you can communicate them over the phone if necessary. It is important to keep hydrated. Drink fluids that are sugar-free, but if you can’t eat, alternate them with fluids containing sugar, such as juice or regular soda. Rest and call your health care professional if you are vomiting or have diarrhea, excessively high blood sugars or ketones or if you have any questions or concerns. Putting together a sick day kit ahead of time can help prepare you for emergencies. Diabetes management software allows you to analyze trends in your blood glucose levels, and some programs allow direct downloads from your meter. One such program is Diabetes Pilot, which can be used with desktop computers, Palm handhelds, and pocket PC handhelds. Many meters come with their own software for downloading. You may also try commercial or free programs, but check their compatibility with your meter and (for Web-based software) privacy policies. The MEDport Organizers are zippered soft cases in different sizes that carry your supplies and have a cool side for insulin. The Day-to-Day Diabetes Calendar provides helpful information and inspiring words about diabetes management. A vibrating alarm watch, available from many manufacturers, can serve as a nondisruptive reminder system. Wash your feet with soap and warm water (not hot) every day, and pat dry carefully, including between the toes. Use lotion, especially over your heels. Check your feet daily. Use a mirror if necessary to see the soles of your feet. Ask your health care professional how to treat corns, calluses, bunions or cracks in the skin of your heel. Call your health care professional if you see swelling or redness or feel numbness or tingling in either foot. Don’t go barefoot. Wear well-fitting shoes and seamless socks, and don’t let your feet get too hot or cold. One of the most effective forms of yoga for the control of blood sugar and treatment of diabetes is Sun Salutation or Surya Namaskar. The Sun Salutation is an excellent form of exercise for patients suffering from diabetes. Surya Namaskar helps in increasing the supply of blood to the various parts of the body and also improves the administration of insulin while stimulating the pancreas. There are a number of pose as and asanas combined in the sun salutation and to its movements that offers the complete benefits of all the asanas. Each Surya Namaskar must be practiced at 4 rounds per minute to get the maximum benefit out of it. In addition to Surya Namaskar, there are a number of asanas that are beneficial in controlling diabetes. However yoga must be practiced only as a secondary or alternative form of therapy in addition to the primary medications taken to control the disorder, in consultation with a medical practitioner. Some important asanas healthful in increasing the efficiency and functioning of the pancreas as well as the endocrine system are the half spinal twist also known as Ardhamatsyendrasana, the Vajrasana Yoga Mudra, the wind release pose, Sarvangasana, Halasana, and the fish pose. All these asana is unknown to have a personal effect on the functioning of the pancreas and also in the administration of insulin. However to get desired result, one must maintain the required pose for longer duration. It is best to consult yoga instructor or qualified practitioner to teach in the asanas and guide the individual through the movements. The most important feature of these asanas is the stability offered and comfort experienced while performing the pose. According to research certain types of Pranayama are extremely helpful in dealing with diabetes. In order to prepare for Pranayama one must practice the Nadi Shodhan Pranayama also known as breathing through alternate nostrils. This form of Pranayama is known to have a calming effect on the nervous system and also helps introducing the levels of stress thus compounding the effects of the primary medication in the treatment of diabetes. A daily practice of meditation is extremely vital in managing stress and relieving tension. Through the mode of meditation a balance is struck between sympathetic and the parasympathetic nervous systems. It is possible that meditation may be difficult to achieve during the early days of practicing it. However with thorough discipline and daily performance, one will be able to achieve the true sense of meditation with the help of chanting and concentration on breathing patterns. A large number of diabetic patients suffer from some form of foot ulcers at some point of time. When neglected, these progress to dire consequences. Over time diabetes damages the nerves, giving rise to a condition called peripheral neuropathy. It diminishes the ability of a person to sense the pain or sores, making small injuries go unnoticed, aggravating it. Diabetes can also result in the clogging of many peripheral arteries, which reduces the blood supply to the legs, making feet prone to infection and gangrene. Poor control of diabetes makes the connective tissue fragile and damages the complicated foot architecture. Reduce the pressure on the affected leg and keep the foot elevated. Take time to inspect your feet. Look for cracks, calluses, disfigured nails. Look in the web spaces space in between two fingers. Use a mirror to inspect the soles. If possible, have someone inspect them for you. Take care of continuous maintenance of sterile, nonadhered dressing. If wet or blood-soaked, it must be changed immediately. Walking barefooted is not a very good idea for you as it makes your feet more vulnerable to injury and makes an easy entry site for germs. If reduced blood supply is the cause of foot ulcer, an intervention or surgery may be considered to improve the circulation. A very good control of your diabetes is the key point. The target of treatment is to prevent blood sugar fluctuations as much as possible. Ask your doctor about your ideal sugar level and work out to maintain it as much as possible. Always use comfortable footwear. An ideal shoe should be comfortably and snugly fit and must not put pressure on the toes. Change your shoes at regular intervals and avoid using damaged or tattered footwear. Tennis shoes and suede shoes are least likely to create foot problems. Never dip your feet in hot water – it may be dangerous. Always use lukewarm water. Clean the web spaces as well. Mop your feet dry including the web spaces. Avoid web-strap shoes (like hawai chappal). Your walking shoe should have a wide and roomy toe box and there should be sufficient shock absorbers in the soles. For dry and scaly skin, apply moisturizing lotion or cream and put on cotton socks while retiring to bed at night. Do not leave extra lotion in the web space as it may macerate the skin. Depending upon the condition, you will be prescribed antimicrobial agents. An infected ulcer needs aggressive treatment to prevent spreading. If ulcer is wide-spread or deep, it may need a small procedure called debridement, where the infected portion is removed. 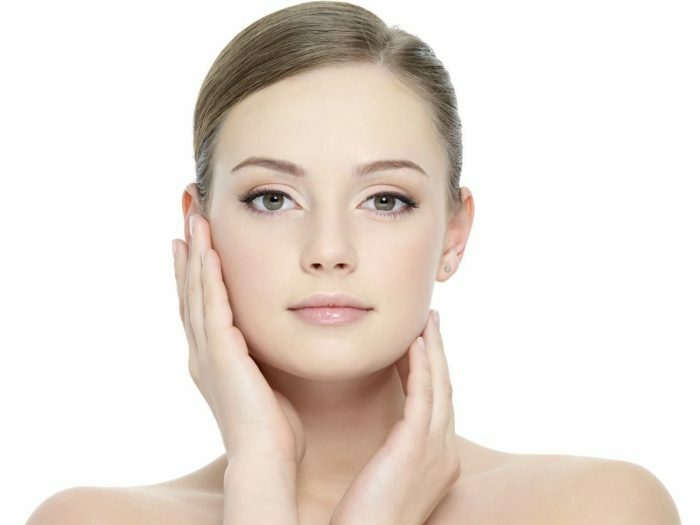 It is usually an outpatient procedure done under local anesthesia. Always use socks – the thicker, the better. Never ignore any of the symptoms and check with your doctor. Treatment of foot ulcer is multidisciplinary and multi pronged. Along with your diabetologist, you may need the expertise of a podiatrist, neurologist, dermatologist, vascular surgeon, cosmetic surgeon, depending upon the extent of the ulcer. Strictly abstain from consuming tobacco in any form. Link Between Diabetes and Heart Health. Most of the food we eat is broken down into glucose, the major form of sugar in blood, and it is the main source of fuel for the body. Diabetes develops when the pancreas, a large gland behind the stomach doesn’t make enough insulin and the cells in the muscles, liver and adipose tissue (fat cells) don’t use insulin properly. As a result, the glucose accumulates in the blood stream while the body is starved of it. Uncontrolled diabetes can affect your nerves, eyes, kidneys and blood vessels leading to heart diseases & stroke. Connection between diabetes & heart disease: People with diabetes are twice as likely to suffer from heart disease as compared to their non diabetic counterparts. They also tend to develop heart disease at a younger age. In fact serious cardiovascular disease can begin before the age of 30 years in diabetics. The chance of a middle aged diabetic getting a heart attack is similar to that of a person who has already had a heart attack in the past. Women who have not undergone menopause have a lesser risk of heart attacks as compared to their male counterparts of the same age, an advantage that is nullified if they have diabetes. What causes heart diseases in persons with diabetes? Persons with diabetes experience changes in blood vessels which include thickening of the lumen & also formation of plaques. Diabetics also have lipid abnormalities and their blood is more prone to clotting because of high fibrinogen or plasminogen activator inhibitor levels in blood which makes it more vulnerable to clotting, resulting in blockage of blood supply leading to heart attack. Family history of heart disease is a risk factor, more so if the family members have had a heart attack at a younger age, that is males before age 55 and females before the age of 65. Central obesity- Central obesity which means carrying extra weight around the waist, as opposed to hips is defined as a waist measurement of more than 40 inches in men and more than 35 inches in women. This excess abdominal fat increases the production of LDL, a type of bad cholesterol, which accumulates in the lumen of blood vessels leading ultimately to blockade. Abnormal blood cholesterol levels- Low density lipoprotein (LDL) can deposit inside the blood vessels, which in turn can become blocked leading to heart attacks. Triglyceride, another form of bad fat can cause structural changes in LDL making them denser and more likely to deposit in the blood vessels. Keeping the above points in mind, the upper limit of both these components have been kept lower in diabetic patients. Triglyceride levels should be less than 150 mg/dl & LDL levels should be below 100 mg/dl in diabetics. HDL is (High density lipoprotein) the god cholesterol, which scavenges LDL from the vessel lumen and therefore low HDL levels also increase the rate of a heart attack. HDL levels should be above 40 m/dl in men and above 50 m/dl in women. Smoking- Smoking on its own doubles the risk of having heart disease since it narrows down blood vessels and it can only worsen the impact of diabetes on blood vessels. It also increases the risk of other complications like eye and kidney problems, besides increasing the risk of amputation. Hence it is paramount for a diabetic to quit smoking. Include at least 14 gms of fibre daily for every 1000 kcal consumed. Foods high in fibre help lower the blood cholesterol. Oats, whole grain bread, dried beans, peas, fruits and vegetables are good sources of fibre. Isabgol has a good impact on lipids. Saturated fats should be cut down to a minimum, as they increase the cholesterol levels. Foods that need to be avoided include red meat, butter ghee, dairy products with fat and oils like coconut oil. Egg yolk should be avoided. Cholesterol intake ideally should not exceed 300 mg per day. Cholesterol rich foods include red meat, dairy products & eggs. Transfats which raise blood cholesterol levels should also be reduced in diet. Therefore food items like cookies, crackers, snacks, bakery products, salad dressings, fried foods & microwave popcorns are best avoided. Contrary to popular belief of restricting carbohydrates in the diet , at least 60% of our daily calories should come from carbohydrates. The aim should be at least 30 mins of regular exercise. These may include a brisk walk, swimming, cycling or a treadmill. It is a good idea to use stairs instead of elevators. The above mentioned exercises should be done at least 5-6 days a week. If one has not been exercising of late, one must consult the doctor before embarking upon a rigorous exercise schedule. If the patient is overweight one must try to achieve an ideal body weight. The body mass index which is weight in kg divided by the square of height in meters should be less than 23 kg/msq. The aim should be to lose no more than 1-2 pounds per week. Coronary artery disease- It is also called ischemic heart disease and is caused by thickening and ultimate blockage of vessels carrying blood to the heart. That causes vessels to the heart becoming narrower or blocked by fatty deposits, leading to a heart attack. Heart failure– It is a chronic condition in which the heart cannot pump blood properly. It doesn’t mean that the heart has stopped functioning. Symptoms can worsen over time. Diabetics are at a higher risk of heart failure than non diabetics. Blockage of blood vessels and high blood glucose levels can damage the heart muscle and cause irregular heartbeats. Diabetes can interfere with pain signals normally transmitted by the nerves and diabetics may therefore have a painless heart attack. Symptoms: These include chest discomfort and pain radiating to arm, back, jaw neck or stomach. There may be shortness of breath, sweating or nausea. Women are less likely to have chest discomfort and more of breathlessness. Prevention: One should get checked at least once a year for heart disease risk factors like cholesterol and blood pressure. Further testing may be required in those having high risk of heart diseases or symptoms. Diabetes and heart disease go hand in glove and prevention encompasses strict sugar control along with tight blood pressure and lipid control and cessation of smoking along with exercising regularly. The simple touch of cinnamon infuses warmth and energy throughout your body. As part of tea blends, cinnamon improves the taste of less tasty herbs, aids digestion and adds powerful antibacterial power to cold and flu remedies.14 Some very interesting recent research suggests that cinnamon may help diabetics control their blood sugar. 15 16 For a more intense, spicy cinnamon choose Cinnamomum cassia. Ceylon cinnamon, Cinnamomum zeylanicum, has a sweeter, more delicate flavor. The oils of both contain cinnamic aldehyde as the major component, with cassia having the larger amount. The aroma of cinnamon evokes memories of Christmas kitchens, warm, spicy and intensely fragrant. Cinnamon oil is also associated with love, and is used in essential oil blends to stimulate the senses. Cinnamon has an energizing and uplifting effect on mood. While the oil from Cinnamomum cassia and Cinnamomum zeylanicumare often used interchangeably cassia is the inferior oil in aromatherapy. Cinnamon oil is distilled from both the leaf and bark, with the bark oil costing 5 to 7 times the price of leaf oil. Is it worth the extra price? It may be if your primary goal is to fight infections. Bark oil contains cinnamaldenyde, a highly powerful antibacterial and antifungal agent. Cinnamon essential oil is a reliable remedy for athletes foot. 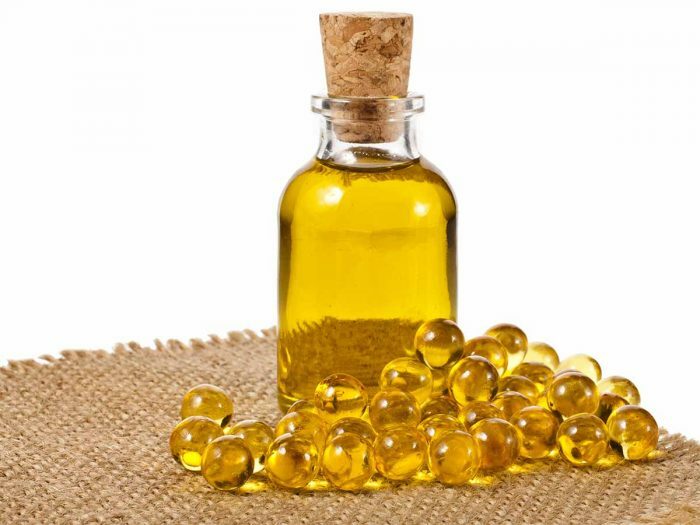 Bark oil is highly irritating to the skin, and may be best used in steam inhalations and other applications that do not require direct contact with the skin. Twak pacifies vata and kapha may stimulate pita in excess. Pungent vipaka warms and energizing to the whole body. Good for toxic (ama) conditions. Preparation Methods & Dosage :You cannot get a therapeutic dose of cinnamon from everyday uses in cooking and baking, even if you could freely devour massive qualities of cinnamon buns in the name of better health. 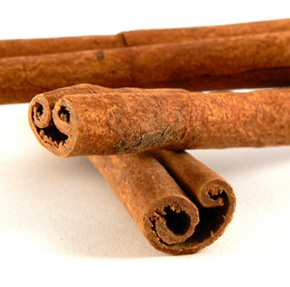 Cinnamon can be taken in capsules, extracts, herbal teas, and essential oil. Grinding cinnamon chips into powder yourself is the best way to ensure the freshest cinnamon. Store in air tight glass jars to seal in the goodness. Remember that the cinnamon powder sold in the grocery is much to old to have any medicinal value. f you have diabetes, you are one of the 171 million peoples in the world who have that. This is not a disease but a condition in which body doesn’t produce enough insulin to restore balance of sugar in blood. This condition can leads you to many serious problem and dieses if it is not controlled. Diabetic patientsneed to change way of living and have to take care more about health. Uncontrolled diet can leads diabetic patients to blindness, nerves damage, heart attack, kidney problem, blood pressure and infections. To understand diabetic diet you must know that almost every food can produce glucose in body. Sweet and sugar products can do this instantly. Carbohydrate, protein and fat can also digested in to glucose in descending order of amount and time. Diabetic menu should produce minimum glucose in blood and provide maximum nutrition. Food must be consumed in small amount and frequent time. This will allow body to adjust with the glucose. Walking, running, swimming and other light exercise can help to control diabetes and weight. Over weight person will have more suffering from diabetes and will feel difficulties even in walking. American diabetic association suggested food pyramid for the patients. Bread, cereals, pasta, rice, potato, corn and other grains and starches foods should be consumed 6 to 11 servings a day. All vegetables should be consumed at least 3 to 5 servings per day. Fruits need 2 to 4 and milk 2 to 3 servings per day. All meat, fats, sugar and alcohol products should be avoided if possible. It is measurement of change of blood sugar after eating particular food. There are three glycemic index levels. Low(less than 55): This includes almost all fruits and vegetables, bread , pasta, milk, cheese, nuts and some pulse and legumes. High(More than 70): corn flakes, rice krispies, potatoes, watermelon and glucose. Here are some foods and their glycemic index.